Freedom Rockz: Kidieos Free Videos for kids Cute Site! 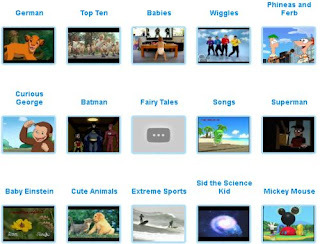 Kidieos Free Videos for kids Cute Site! Lots of videos arranged by age group 0-2 years, 3-4 years, 5-6 years,7-8 years and 9-10 yrs. They have lots of popular cartoon and TV show characters, including Baby Einstein, Barney, Dr Seuss, Sesame Street, Mickey Mouse Club House, Curious George, Phineas & Ferb and more. Click the link below to go to the Kidieos website.